ROADSIDE ASSISTANCE Berlin NH, Gorham NH: Towing, Jumpstarts, Lockouts, Flat Tire Changes & More! ROADSIDE ASSISTANCE Berlin NH, Gorham NH: Towing, Jumpstarts, Lockouts, Flat Tire Changes & More! Roadside Assistance in Berlin – Gorham NH available 24/7 for motor club members of AAA (American Automobile Association), Allstate Roadside Services, Road America, etc. (Roadside Assistance for non motor club members also available). 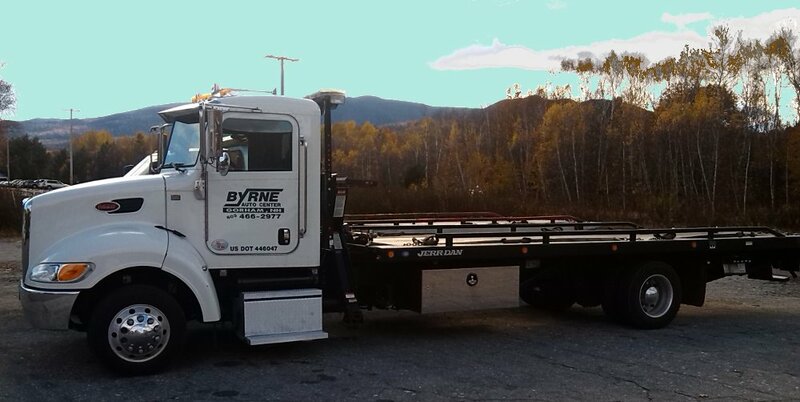 If you are a motor club member in need of service in northern New Hampshire, please call your club’s 24/7 roadside assistance hotline and request Byrne Auto. Non motor club members (or AAA members within 10 miles of our facility at 114 Main Street Gorham NH) can call us directly during our regular business hours (Mon – Fri 7am – 5pm, Sat 8am – 2pm) at 603-466-2977.